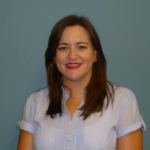 Biographical Information: Dr Nicole Johnston is an admitted Legal Practitioner and Academic at Deakin University. She is the Director of Industry Engagement for the Department of Finance and teaches property law within the Deakin Business School. Prior to entering academia, Nicole worked as a Property Lawyer in mid and top tier firms. She is a socio-legal researcher focusing on multiple aspects of multi-owned properties including governance, conflicts of interest and legal relationships. Nicole is Chair of the International Research Forum on Multi-owned Properties and Committee Chair of a large community title scheme. The broad aim of the report is to explore the regulatory framework and governance issues associated with decentralised water management systems ) within a strata and community title (S&CT) context. Concerns about the capacity of centralised water supply systems to deliver reliable and secure water supplies have triggered interest in the potential of localised DWMSs as an alternative approach to water management. S&CT developments appear to represent strong potential vehicles for promoting DWMSs because there is an extant legislative framework that supports the governance and management . The multi-owned development (MOD) is a unique property type consisting of at least two individually owned lots tied to communally owned common property with a separate registered entity (the body corporate) created to govern and manage the property. While the body corporate is the ultimate governing entity and the orchestra of operations for much of a MOD’s life, there is a period of time when a MOD’s developer makes governing decisions. This study is therefore exploratory in nature, as it seeks to uncover the nature of governance decisions made by developers during the transition phase. The purpose of this study is to develop a governance typology which identifies governance issues and outcomes. The study reviewed the legislation in three Australian states to identify specific governance categories and the legislative requirements related to those categories. To gain group opinion about the specific governance issues and outcomes, the Delphi method was utilised whereby industry experts participated in a two-round survey questionnaire. A typology was developed as a result of consensus found between participants. The findings identified key governance issues and outcomes. Anecdotal evidence suggests that if inappropriate decisions are made by developers in the initial establishment phase of multi-owned residential schemes, conflict and long-term dysfunctionalism for the eventual owners result. This paper maps out practises commonly utilised by developers in establishing staged, multi-owned residential developments and the consequences that these practises can have on a scheme in the short and long-term. Findings stemming from twelve semi-structured interviews conducted with key strata and community title industry experts from around Australia. Drawing on insights from psychological theories and understandings of mental processing, the paper evaluates the effectiveness of disclosures in aiding purchasing decisions and in mitigating the (potential) harmful effects of conflicts of interest in the multi-owned property environment. The purpose of this paper is to examine the extent to which gatekeepers of information stymie due diligence investigations in the multi-owned property environment. The study reviewed and analysed the relevant state legislative provisions providing statutory protections for (pre)purchasers of lots within the multi-owned property context. Further, an exploratory survey questionnaire was distributed to owners corporation (OC) managers in Victoria to gain knowledge and a greater understanding of the extent to which OC managers are gatekeepers of information. This article employs a life cycle framework to examine the profound operational and governance challenges that are associated with the fusion of private lot ownership with common property ownership. The article calls for a more explicit recognition of these challenges by academics, policymakers, practitioners and the broader community.